Vehicle ban for 30% of roads in Paris on the 27th of September plummets both air and noise pollution. 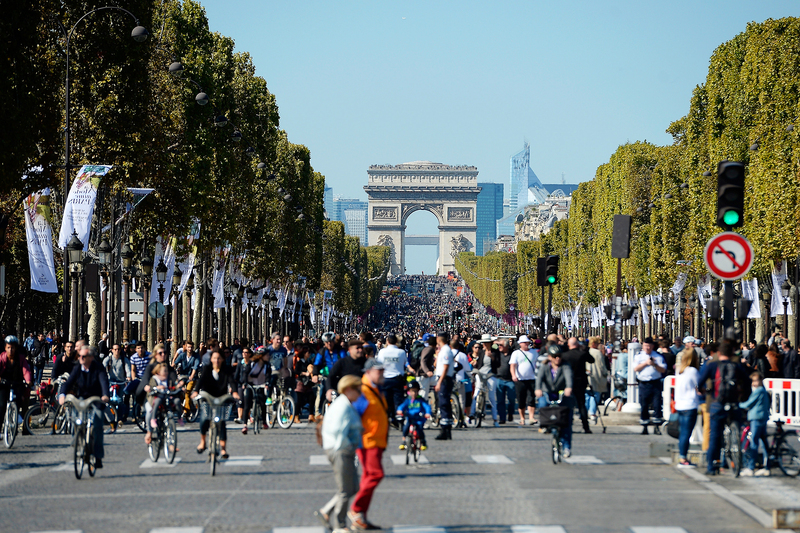 On September 27th, 2015, Paris has launched its first Car-Free Day to ban vehicles from 30% of its roads in the city. The minor reduction in traffic has successfully to cut air and noise pollution significantly. According to Airparif, which measures city pollution levels, levels of nitrogen dioxide have dropped by up to 40% in parts of the city on that day. There was almost one-third less nitrogen dioxide pollution on the busy Champs Elyées than on a similar Sunday. Along the Seine in the city center, levels were down by about 40%. At the busy Place de l’Opera, levels were 20% lower. Bruitparif, which measures noise, said sound levels dropped by half in the city center as well. In March, a spike in air contaminants briefly turned Paris into the world’s most polluted city. The noxious smog was so dense it almost obscured the French capital’s totemic landmark, the Eiffel Tower. In its report for 2014, Airparif wrote: “Despite meteorological conditions favorable to the quality of air in 2014, 2.3 million French people are still exposed to levels of pollution that do not respect the rules, particularly in the case of (lead) particles and nitrogen dioxide. Those living in the Paris region and near major roads are the most affected.” Airparif said pollutions levels were up to double those allowed by the regulations. Five pollutants posed problems in the capital: benzene, nitrogen dioxide, ozone and the fine particles PM10 and PM2.5. Najdovski, a member of the Europe Ecology-Green (EELV) party, admitted he was disappointed that only one third of Paris was handed over to pedestrians and cyclists on 27 September.